Between six and nine million people (2-3 percent of the population) in the United States are currently affected by scoliosis. If you’re part of this group, you may have been told that you shouldn’t be exercising. Or, maybe you’ve been cleared to exercise but are unsure of where to begin. No matter which boat you’re in, this article can help. 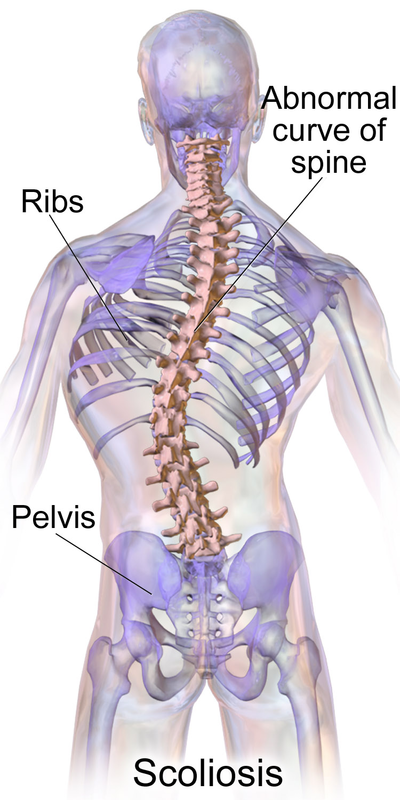 Read on to learn everything you need to know about training safely when you have scoliosis. Scoliosis is a condition that occurs when the vertebrae of the spine shift and cause the spine to develop an S- or C-shaped curve. Scoliosis is either congenital (present at birth), idiopathic (without any known cause) or a secondary condition to an illness like cerebral palsy. Is it Safe to Exercise with Scoliosis? This is usually the first question people with scoliosis have about exercise. Is it safe, or will it make their condition worse? In short, it is safe to exercise with mild-to-moderate scoliosis, and certain exercises can actually relieve pain and help reverse the condition by re-aligning the spine. That being said, not all types of exercise are safe for people with scoliosis, and it’s important to get clearance from a doctor or physical therapist before beginning a new training regimen. The following are some of the safest and most effective exercises to help people with scoliosis correct imbalances and improve general strength and fitness. While exercise is, generally speaking, good for people with mild-to-moderate cases of scoliosis, there are some exercises that can put unnecessary pressure on the back and increase pain. Resistance training can be very beneficial for correcting imbalances that make scoliosis worse and contribute to pain. But, it’s best to stick with unilateral movements instead of heavy weight-lifting exercises like barbell squats or deadlifts, at least when you’re first starting out. Over time, with the help of a qualified personal trainer, you may be able to incorporate these exercises into your routine, but they’re not ideal for a beginner with back problems. Yoga has been shown to be helpful in treating scoliosis, especially core-strengthening exercises like side planks. But, there are some yoga poses that should be avoided. Deep backbends (such as wheel pose) are not ideal for people with scoliosis, nor are other back-bending postures like cobra. A good rule of thumb is to avoid anything that forces your spine into a U-shape.